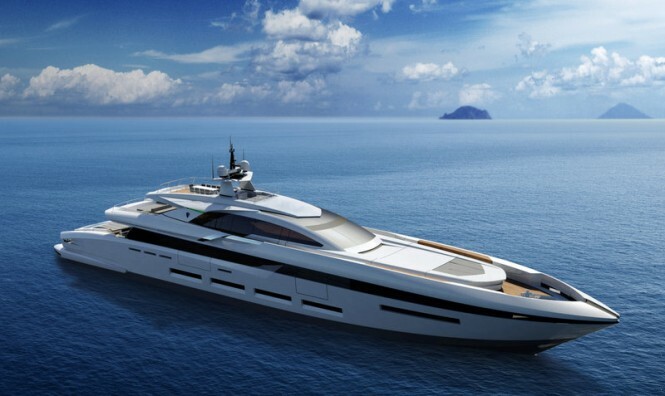 The partnership of Heesen Yachts and Francesco Paszkowski has, in the past days, released a brand new 58m design. 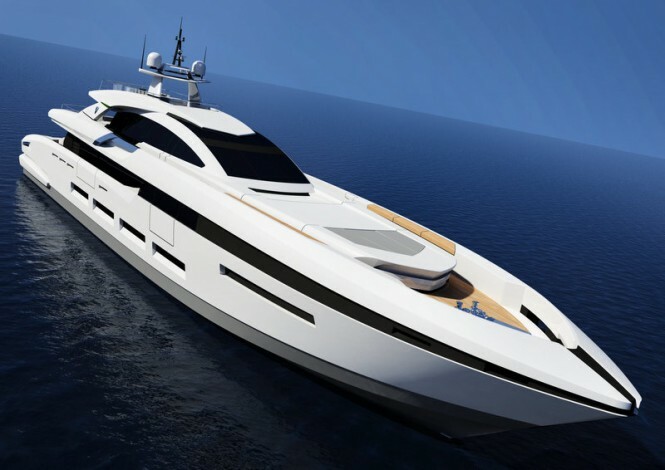 With stylistic elements taken from automotive and aeronautical vehicles, the yacht looks classy and modern, with curved lines at every angle. The design, from every perspective, has been thought through entirely. The sun-bed area on the fore-deck contribute to the sleek look of the new Heesen. 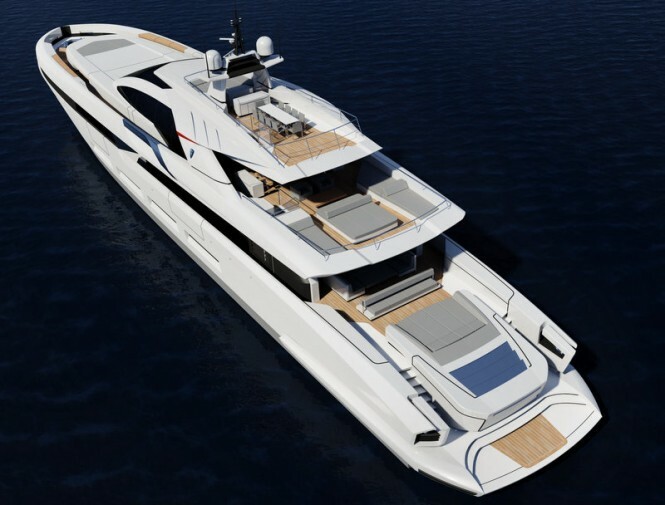 Indeed the stern of the 58m Francesco Pazskowski yacht design is very distinctive with its swim-platform embellished with full-width steps, symmetric stairs around the sun-pads to access the aft deck and the two unconventional openings for the mooring springs. The elongated swim deck furthers the elegant image which this new design portrays, as she glides through the water with grace, seen in each image. An unusual design feature, however, is located on the fore deck where a bimini lifts up to reveal and shade an open-air lounge space. Guests are accommodated in five cabins. The full-beam master suite is traditionally located on the main deck, while the rest of the guests are on the lower deck in two twins and two double cabins. Whilst this stunning yacht isn’t yet on the market for charter, there are plenty of other Heesens which are. AT LAST is a beautiful 44m model, which oozes tradition and class. She is available for charter in the Bahamas, complimented with all the water toys you could wish for, including a fully inflatable slide. She has plenty of space in all cabins for all guests, and accommodates up to 11 guests in 5 cabins. With a crew of 8, your every need will be tended to and you will be sure to have the charter of a lifetime. Looking to charter a yacht? Head to www.boatbookings.com, the leading online yacht charter broker, or email us at charter@boatbookings.com and one of our Charter Specialists will get back to you shortly.